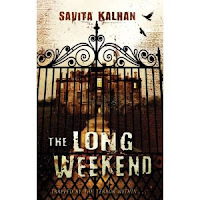 YA author, Savita Kalhan, is August's guest blogger. In keeping with our critique month theme, Savita writes about how she self-edits her manuscripts before submission. Read on to discover her top tips! Hooray – you’ve just finished your first draft, written THE END in block capitals, breathed a huge sigh of relief, poured a glass of something cold and fizzy, and taken the rest of the day off because you’ve earned it! The temptation is to read the manuscript through or even begin editing it the very next day. If you can bring yourself to do it, put the manuscript in a drawer for at least a week, longer if you can. Once the manuscript has been left for as long as possible, only then can you take off your WRITER hat and don your EDITOR hat. Revising a manuscript, apart from writing it of course, is one of the most important aspects of writing. So what’s involved? This is what I typically do. READING – first I read the manuscript through. I’ll usually constantly read and edit as I’m writing the first draft, but this is different. I’m now reading it not as a writer, but as a critical reader. I’ll be looking for several things – or become aware of them as I’m reading. Then I’ll begin editing, making sure that any changes I make remain consistent with the rest of the manuscript. Plot – check for inconsistencies. Introduce or develop sub-threads if necessary for more depth, cut irrelevant scenes. Pace – pace is vital in teen/YA fiction, so cut out anything that’s boring, cut out repetition, cut out extra adverbs, cut out unnecessary words. Look at strengthening big scenes, heightening tension, and making sure there is a very strong beginning to the book that sweeps the reader through to the middle and racing towards the end. In other words – maintain a strong story arc. POV – the voice must come through clearly and remain consistent throughout the book, as it should with all the characters. Characters should be fleshed out and made real for the reader. If the main character’s voice is not strong, you will lose the reader. POV - the voice must come through clearly and remain consistent throughout the book, as it should with all the characters. Once I’ve finished I call it my second draft. It goes in a drawer again for a while and when it comes out it gets read again with all the above points in mind. If I’m happy with it, then it gets edited again anyway, and if I’m not, the manuscript gets another complete overhaul. Otherwise it’s onto the next step, which is looking at punctuation, checking dialogue, and anything else that has leapt out at me. By now I’ve printed several versions of the manuscript, which I always keep just in case I want a scene back I may have cut, or if I lose the current version! I read the manuscript aloud again, adjusting anything that jars or doesn’t sound right. Polishing a manuscript does take time, and it feels like a never ending process of reading and editing, but it’s worth it. Editors will be unlikely to accept a manuscript that needs a lot of work – they just don’t have time for it. The story must grab them immediately, and hold their attention throughout, so polishing is a vital part of writing. Once the manuscript has been revised and polished, you can finally prepare it for submission! Remember to follow the relevant guidelines in terms of formatting the manuscript and its presentation before you submit. 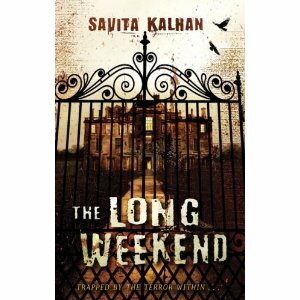 Savita Kalhan is the author of the teen/YA thriller The Long Weekend published by Andersen Press, and her short story The Poet, is published in the anthology Even Birds are Chained to the Sky. 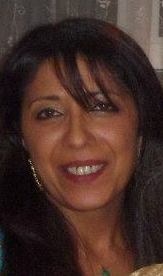 For several years she lived and taught English in the Middle East, travelled the world, got married in Manila, and now lives in North London with her husband and son. Watch the book trailer for The Long Weekend here. Savita, thank you very much for some excellent advice - especially about waiting. it reminds me about leaving dough to prove all very frustrating for people like me but it's amazing how after a suitable gap, you see things to which you were oblivious before.